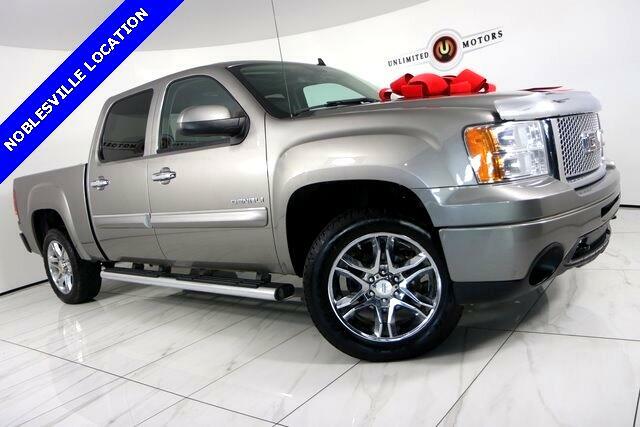 Navigation, Back Up Camera, Bluetooth, Heated Seats, Running Boards, Towing, Touch Screen, Bed Liner, Sierra 1500 Denali, 4D Crew Cab, Vortec 6.2L V8 SFI VVT Flex Fuel, 6-Speed Automatic HD Electronic with Overdrive, AWD, Steel Gray Metallic, ebony Cloth. Clean CARFAX. Odometer is 8639 miles below market average! Priced below KBB Fair Purchase Price!